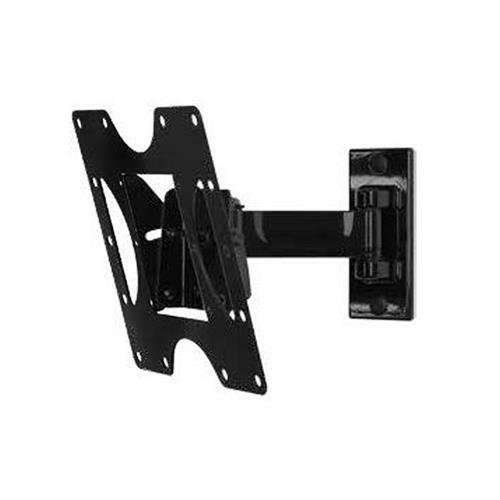 A single, swing-out wall arm which extends up to 7.88" from the wall. A pre-tensioned, fingertip-adjustable tilt mechanism, offering +15°/-5° tilt. ±5° roll for horizontal leveling. A low-profile design, sitting only 2.78" from the wall in its retracted position. 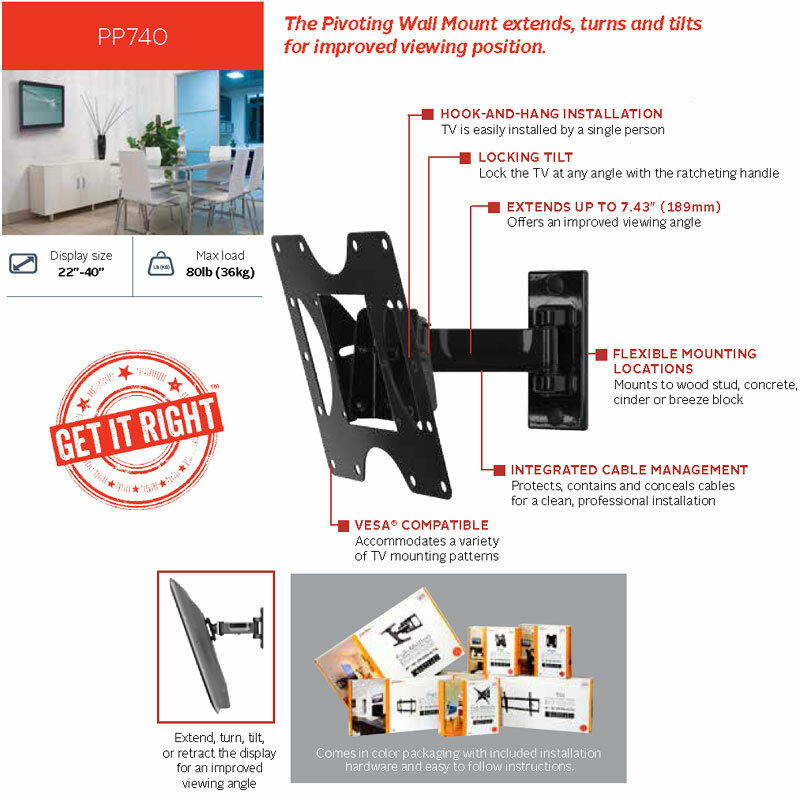 VESA 75, 100, 200x100 and 200x200 mounting pattern compatibility. A fused epoxy finish, available in black. Sound confusing? Call our Sales Team for help! 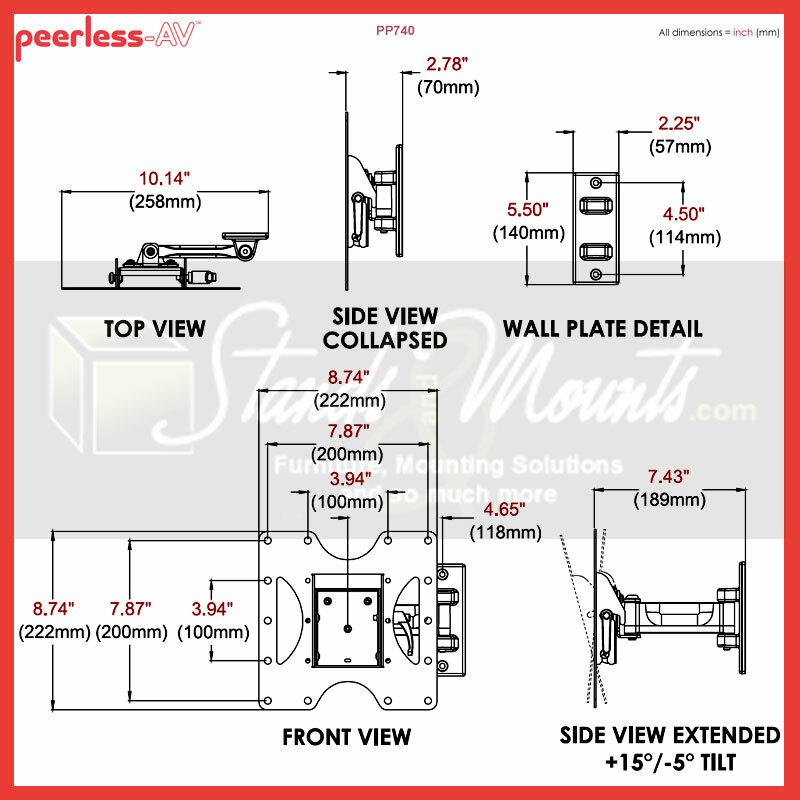 Depth: 02.78 - 07.43 in.